BY KYLE WEINSTEIN Thurston Moore turned 60 this past summer. It’s been about seven years since the breakup of Sonic Youth. Moore first hit the noisy New York no wave scene after dropping out of Western Connecticut State University in the late ’70s. His early music career was nourished by his guitar work in Glenn Branca’s orchestra, from which he would draw many of his alternate tunings to be used in Sonic Youth. It was in 1981 that Sonic Youth would officially come to fruition with its founding members: Thurston Moore, Kim Gordon, and Lee Ranaldo. The group changed alt-rock and went down as one of the most important musical influences of the ’80s. In the wake of SY’s dissolution, Moore has kept busy, releasing three albums and touring frequently. In recent years, he’s been backed in the studio and on tour by longtime Sonic Youth bandmate, Steve Shelley (drums), Debbie Googe of My Bloody Valentine (bass, backing vocals), and James Sedwards (guitar). All of whom will be joining Moore at Ruba Club tonight as a part of his “New Noise Guitar Explorations” project, which Moore explains in the following interview. PHAWKER: There was recently a huge sale of Sonic Youth gear on Reverb. Almost everything sold by the afternoon of the first day. It got me thinking: what has been some of your cherished and nostalgic gear over the years? And what prompted you guys to get rid of so much memorabilia? 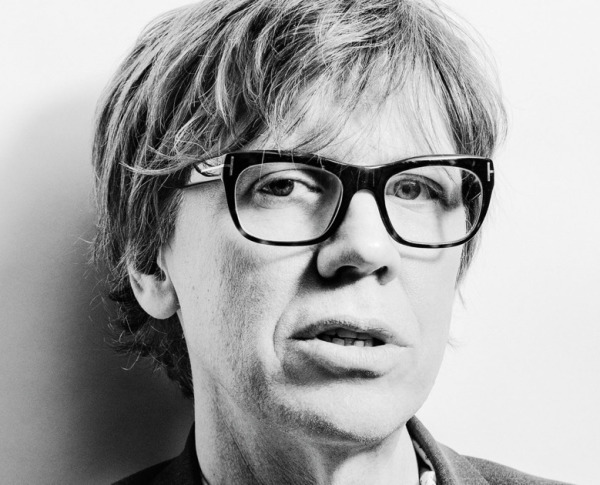 THURSTON MOORE: We are making room to do more work in our studio with our various projects. PHAWKER: Your current tour is called “New Noise Guitar Explorations.” Naturally, that begs the question: what new techniques have you been experimenting with? What can the audience expect this time around? THURSTON MOORE: “New Noise Guitar Explorations” is my group with My Bloody Valentine’s bassist Deb Googe playing a baritone bass, although she has brought a few guitars in case there are encores, we might play some songs. Also James Sedwards and I are playing electric 12-string guitars and Steve Shelley is on drums and percussion. We are using special tunings on the guitars and are playing a composition I’ve written called ALICE MOKI JAYNE in honour of Alice Coltrane, Moki Cherry and Jayne Cortez —the women who brought out the spirituality of some heavy jazz players for me. My longtime best friend, the author and poet Byron Coley will read and the incredible electronic composer Jon Leidecker (aka Wobbly) whose studio collaborations include work I love from Negativland, Dieter Moebius, Tim Story, Matmos Zeena Parkins and others will present some musics utilising mobile devices, microphones and other electronics in zap mode. PHAWKER: What was the last album or song you heard that blew your mind/altered your perspective on the world, and why? THURSTON MOORE: BIG JOANIE!! We recently went to see our friends from Holland play and this black feminist punk trio called Big Joanie opened up. They were so good I asked if I could put out their songs. Their new debut full length album SISTAHS will be coming out this month on November 30th on my new label, The Daydream Library Series, with my partner Eva Prinz. PHAWKER: Since last year, Michael Gira has been “rethinking Swans completely,” meaning it will be him and “a revolving cast of contributors.” Since you and Gira go way back, and I can hardly think of a more appropriate collaboration, do you think there might be future work for you in Swans? THURSTON MOORE: ABSOLUTELY. I would always love to work with Michael. I hope we find some time together soon. This entry was posted on Tuesday, November 6th, 2018	at 2:05 am	and is filed under News	. Responses are currently closed, but you can trackback from your own site.